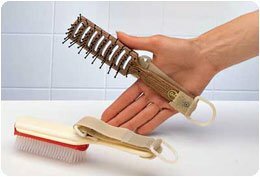 Some of you may have been following our “Gadgets for Independence” Series for those with limited hand function (although these gadgets can make life easier for anyone!). So far, we shared with you some helpful gadgets that are specifically for cutting items like packages, paper, envelopes etc. and gadgets to be used in the kitchen. 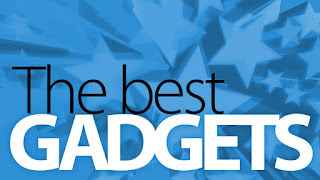 For our next “gadget” topic, we have chosen an extremely important one, especially with the upcoming holidays which will be here before you know it: Beauty :-) Let’s face it. There are some tasks that you want executed just right and can not easily be delegated to others and this is one of them! Typically, most aides don’t have the background or experience to be a hairdresser or makeup artist. That’s where Youtube videos and some helpful gadgets can help you to achieve your “beauty vision”. Being independent can be empowering and liberating! We have compiled a list of some of our favorites that cover makeup, nails and hair. We haven’t tried all of them yet, although looking forward to giving them a shot! We do not receive any reimbursement for promotion. We would love to hear your suggestions too so please share them on our mobileWOMEN.org Facebook page. If you are not a member yet just send us a request and we’ll be happy to grant you access. 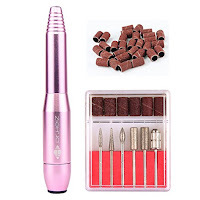 To start, we’ve listed some universal grips that can be used on any handles whether it’s for beauty tools or other purposes in your daily life. 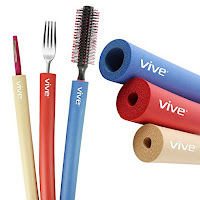 Foam Tubing for Grip: These inexpensive cylindrical foam tubes come in various diameters which can be cut with scissors to desired length to increase grip for makeup brushes, mascara, eyeliner, hair brushes etc. 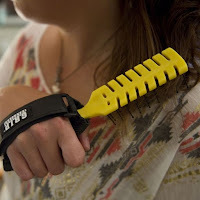 Hand Grip: This universal sleeve can be used on utensils like hair brush, makeup handles etc. It can be easily removed and reused throughout the day. Table Top Nail Clippers These clippers come with a base to keep it steady with a large mounted pad for leverage. 6-in-1 Professional Nail File Drill: Not only used for filing and shaping your nails, it also claims to be a callus remover and mini nail polisher with multiple speeds. You can even use it on your doggie too! 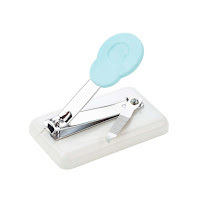 Polish: If you want polish, try adding a foam grip to the nail polish handle and toe separators that are used for pedicures, to spread your fingers. 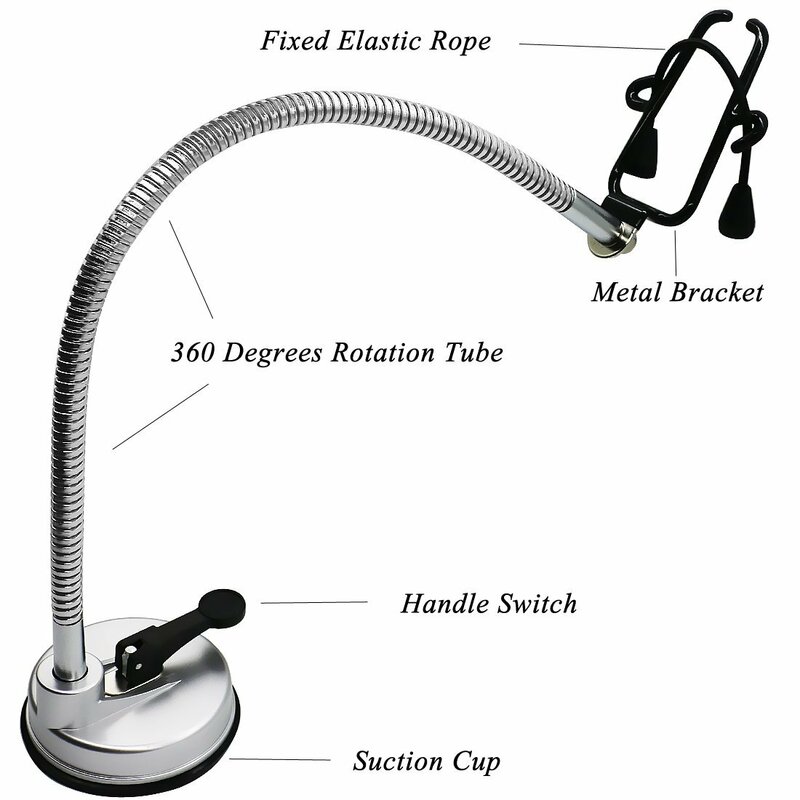 Pard Tabletop Hair Dryer Stand Holder: This hands-free hair dryer stand mounts to any hard surface with a powerful suction cup and attaches to any hair dryer. It has a gooseneck arm and can rotate 360 degrees. We are super excited to try this one! Hair Brush with Velcro Strap: This brush comes with adjustable velcro strap and D-ring already attached so easy to hold or choose a brush of your choice and add one of the grip aids that we listed above. 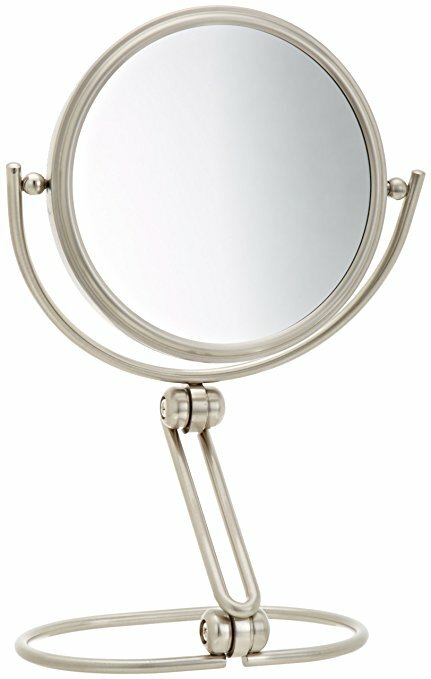 Jerdon 5.5” Traveling Mirror: It can be frustrating when you want to apply your makeup but the mirror is the wrong height or angle. This mirror is adjustable in both height and angle so you can use it on various counter or table heights. Compact enough for travel or at home. 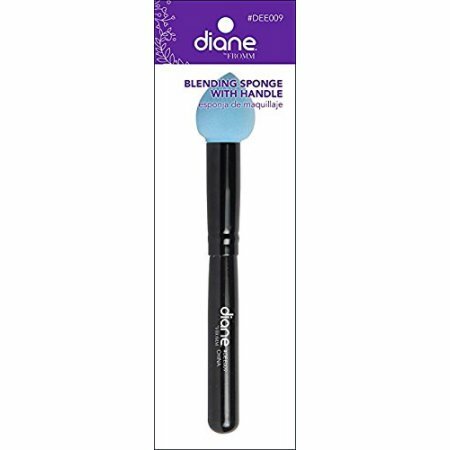 Blending Sponge (without or with handle): These blending sponges create uniform look with foundations, concealers, blush etc. and has a pointed tip to get around more challenging detailed areas, like eyes and nose. 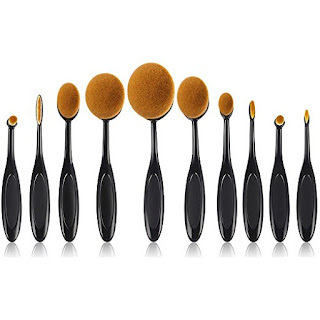 Oval Makeup Brushes: These oval brushes are easy to manipulate and come with wide handles. 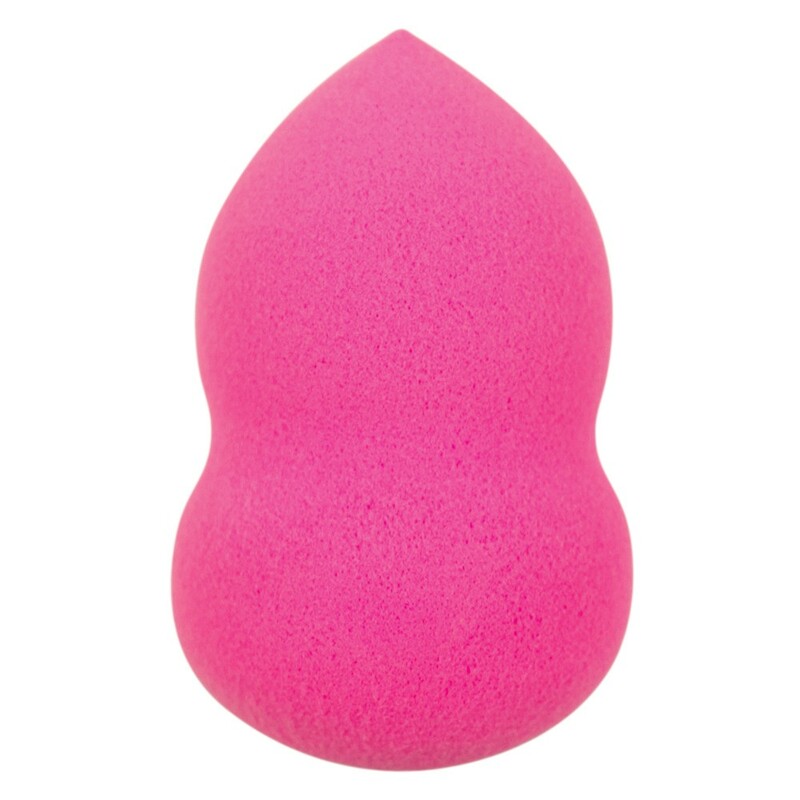 Can be used for concealer, foundation, blush and even eyes! Check out this informative video on how to use. 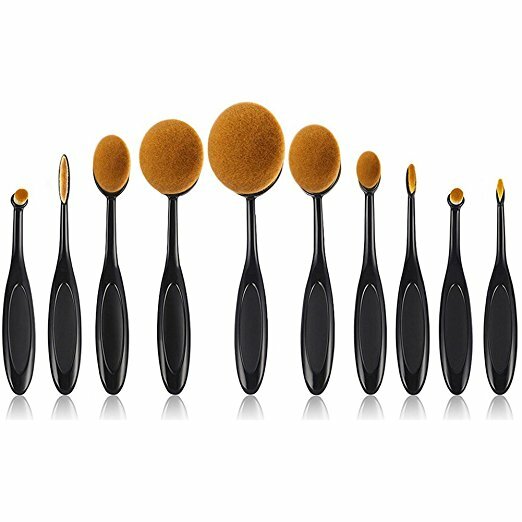 You can also go with a standard makeup brush that is lightweight but has a thicker handle so you may not even need a grip accessory. So get your “glam” on and don't forget to let us know how you do with any of these gadgets on our Facebook page. Also, please share any tips that you may have!